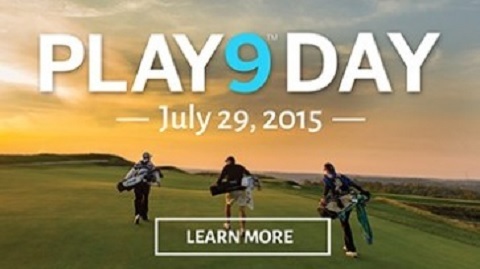 For the second time, I would like to draw readers’ attention to Wednesday’s ‘PLAY9™Day’, jointly promoted by USGA and American Express, which I first mentioned in this blog two months ago. From 23 January 2014, changed 9-hole and Incomplete Score Regulations. GOLF Link will store a player’s 9-hole score for automatic combination with their next 9-hole score. 9. Your nine-hole round is legit! The USGA’s Golf Handicap Information Network® (GHIN) showed a 13 percent year-over-year increase in nine-hole scores posted in the two months following the program’s launch last July. You can post a nine-hole score to maintain your Handicap Index. Let me remind you that any of my eDocuments purchased now from this web site, will be updated free of charge with any amendments to the Rules of Golf that will be effected from 1st January 2016.